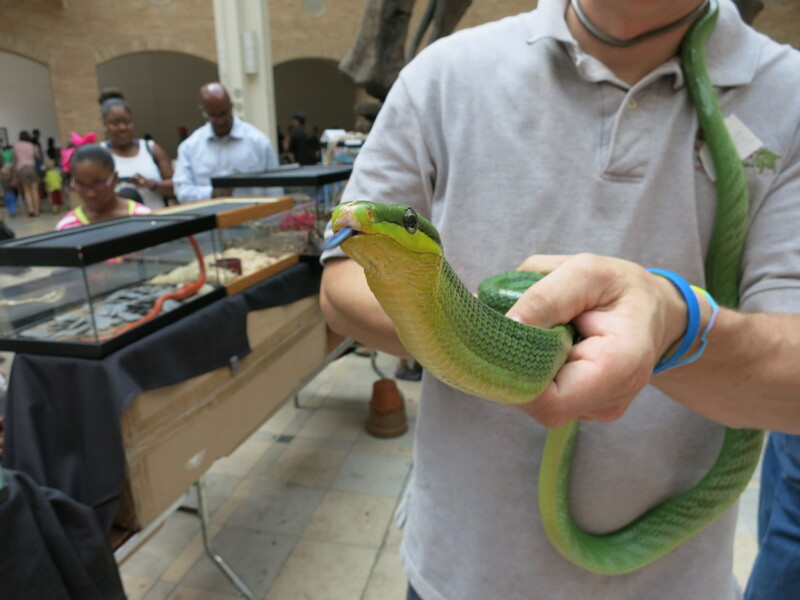 Instead of our regular Reptilian Tuesday, we’re taking you on an adventure to our local natural history museum, Fernbank in Atlanta, GA. A few weekends ago, we went to their annual reptile day and had a blast! Come check out this amazing day! 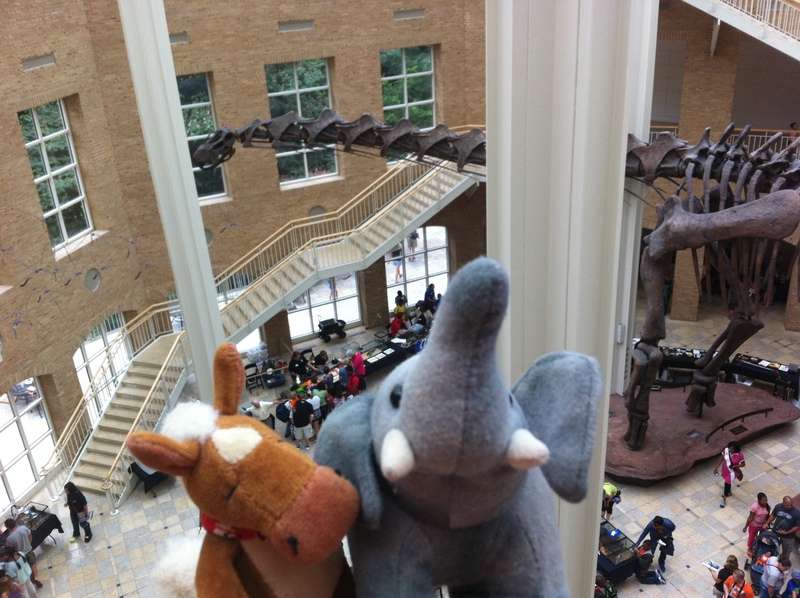 Here we are looking on the great hall of Fernbank! Fernbank had groups from the Georgia Herpetology Society, Atlanta Botanical Gardens, Zoo Atlanta and others at the museum. 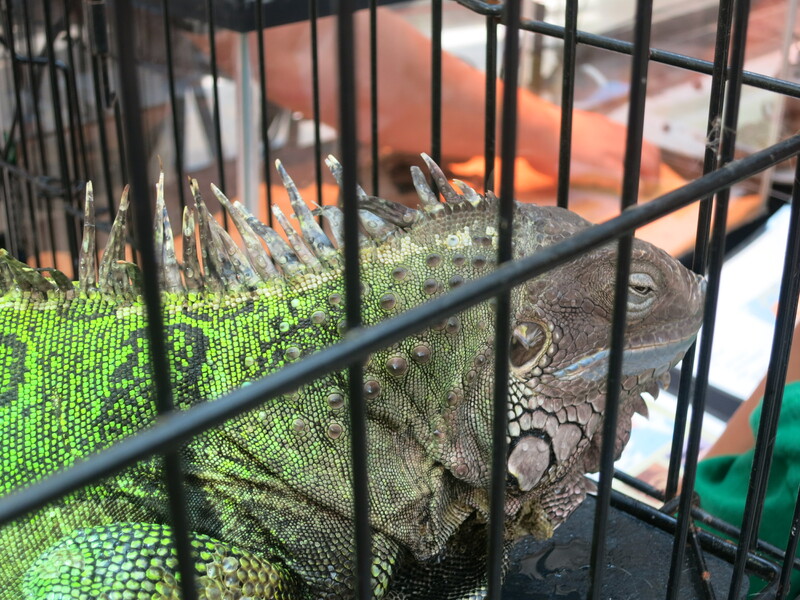 There were reptiles, amphibians and dinos of all kinds! 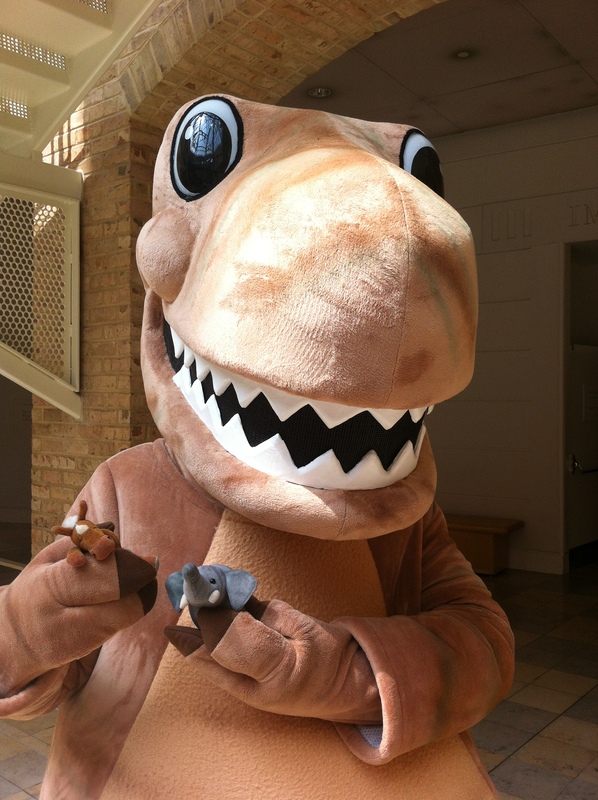 We started this party off right, by meeting our pal, Giggy Dinosaur, the museum’s mascot! Our pal Giggy Dinosaur! He is one cool dude! 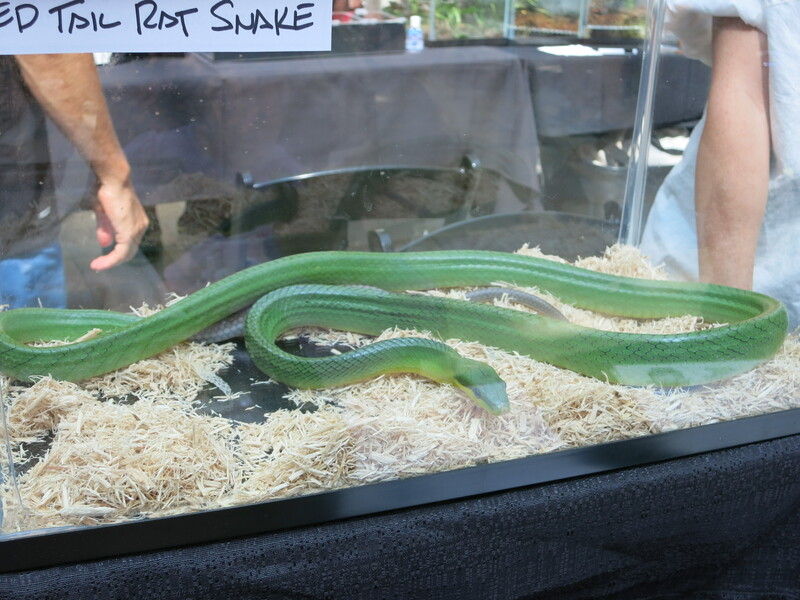 Red Tail Rat Snake! Check out that forked tongue! Tortoise with banana on his face! Get him a napkin :)! 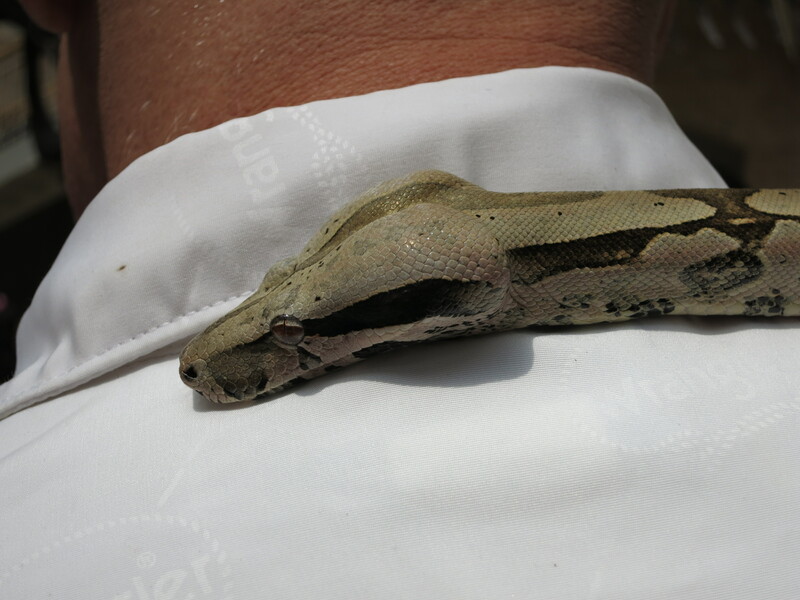 Boa on his handler! Check out those eyes! 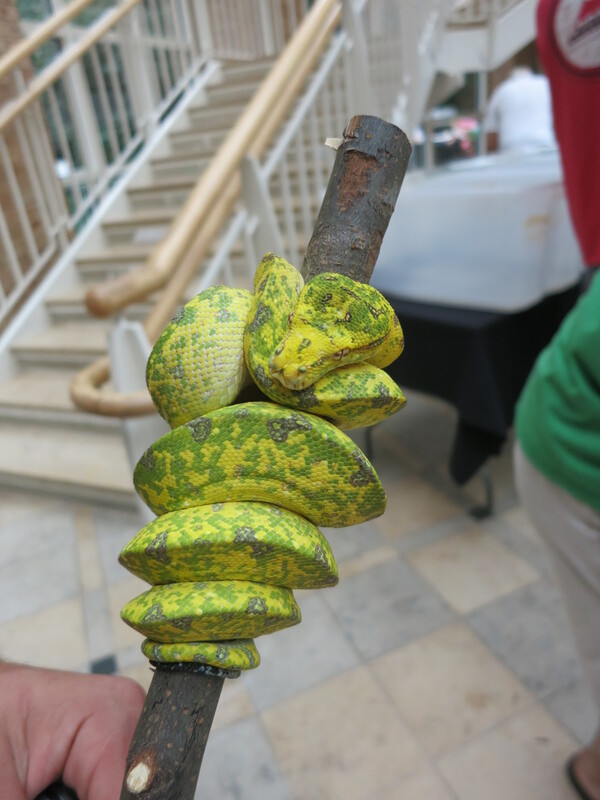 Corn snake! 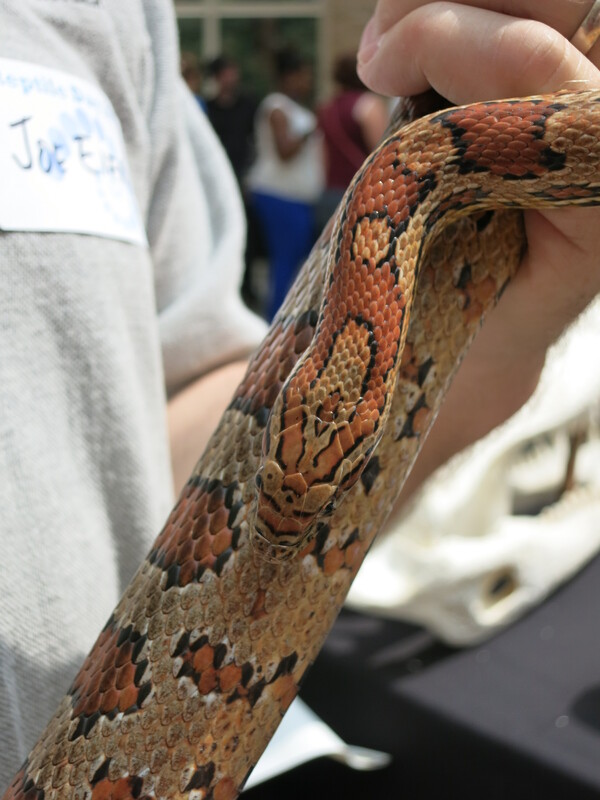 Corn snakes don’t eat corn, they eat the rodents that live in corn fields though! Wow! This guy is moving! 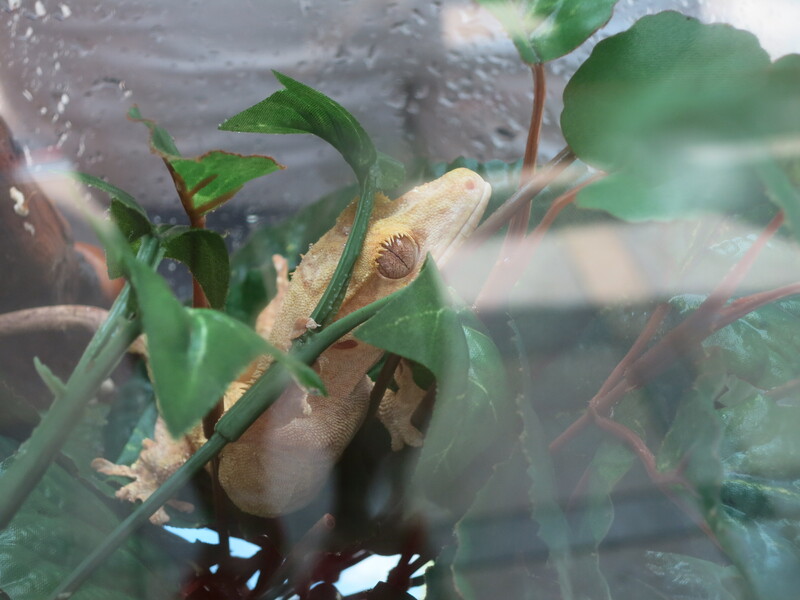 Gecko! He sure has some lovely “eyelashes”! 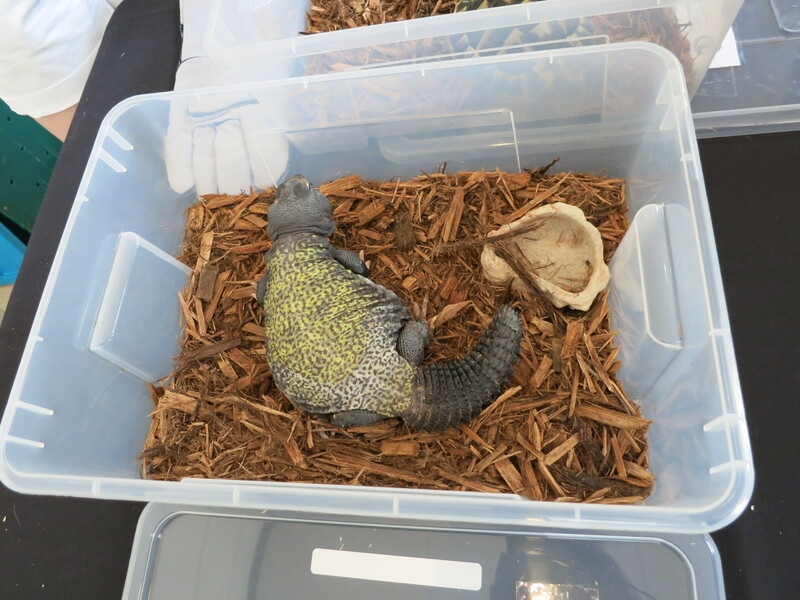 Egyptian Uromastyx! 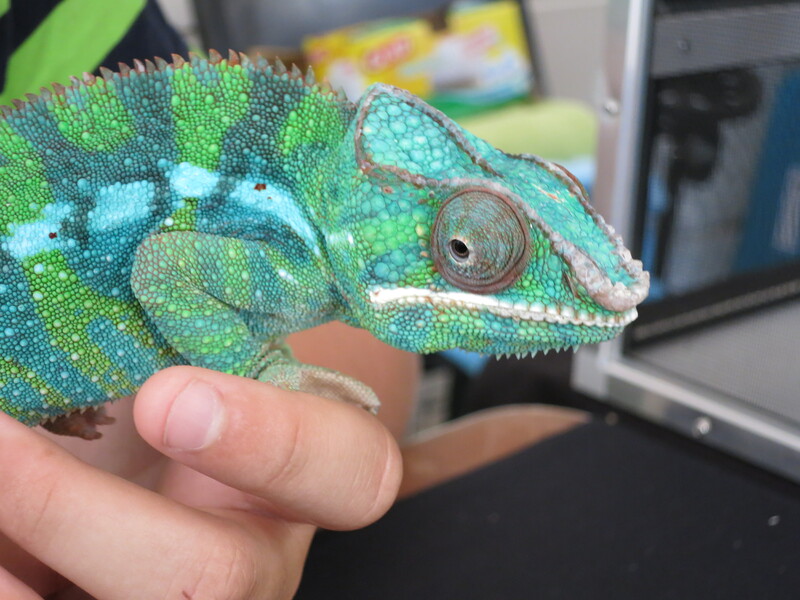 What a cool lizard! Wow! 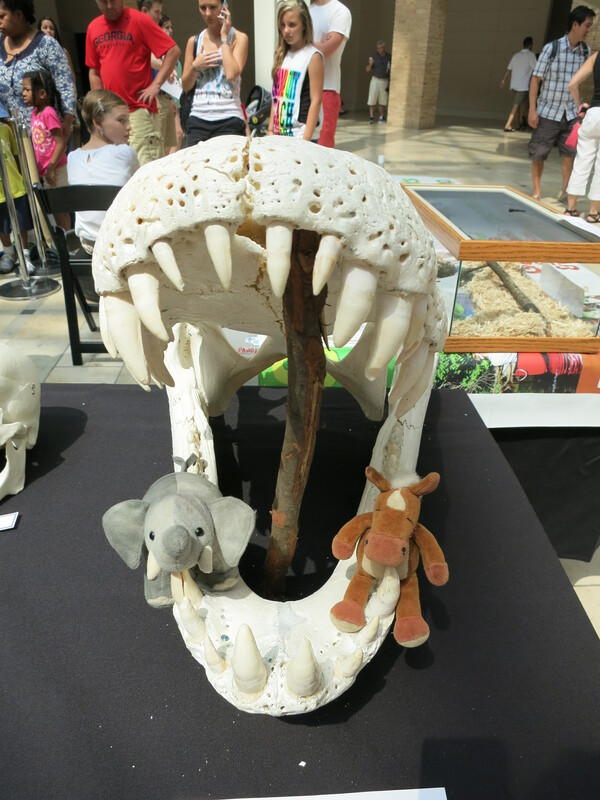 We sure are glad this is just a skull of a black caiman! 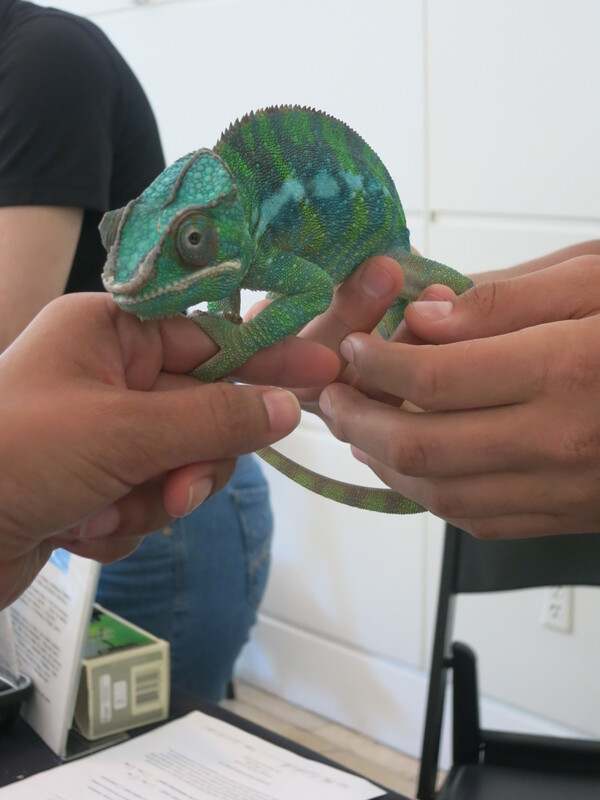 Who wouldn’t want to hold hands with a chameleon? 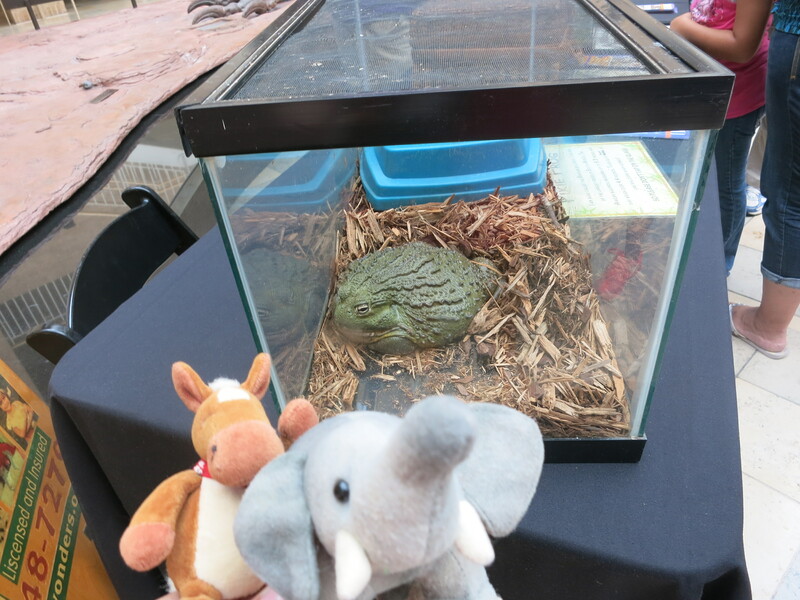 African bullfrog! He’s bigger than us! 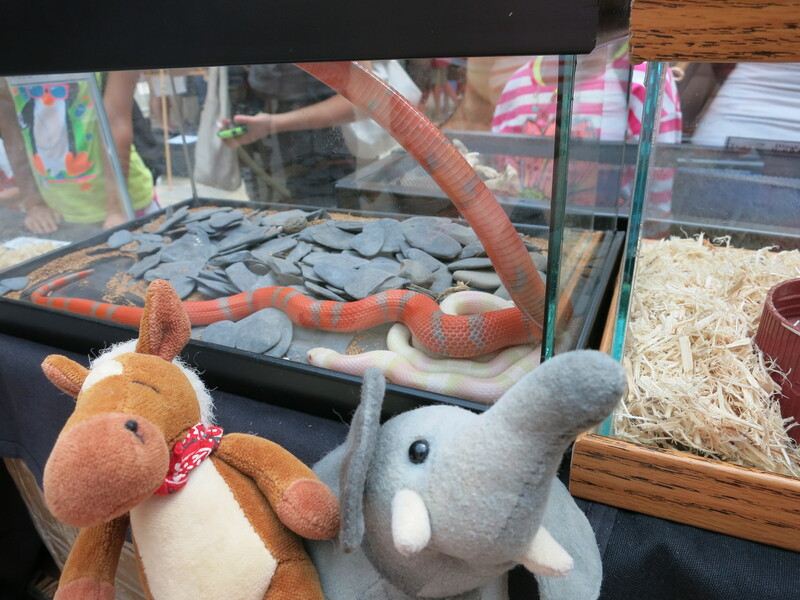 We had the most fun meeting all the reptiles and amphibians! Everyone there was eager to answer questions and talk about the animals they had brought with them. You were even able to touch most of the animals! 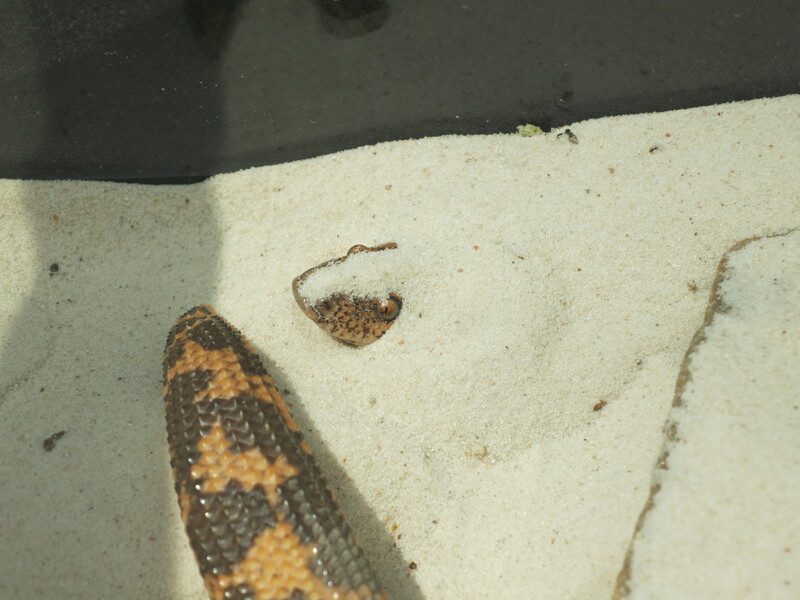 A snake feels like a basketball if you want to know! 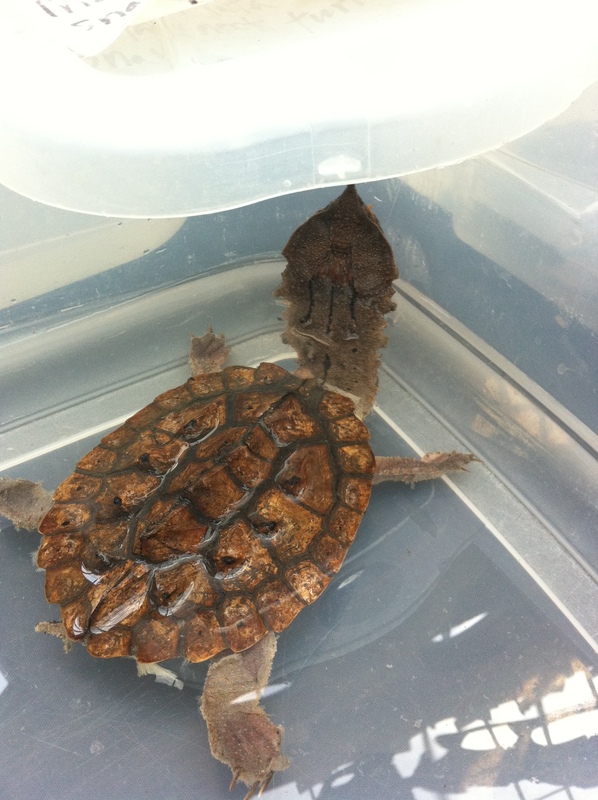 Reptiles often get a bad rep, but without them our ecosystems would be out of whack! These wondrous creatures are vital to the health of our planet and we applaud Fernbank Natural History Museum for celebrating them! 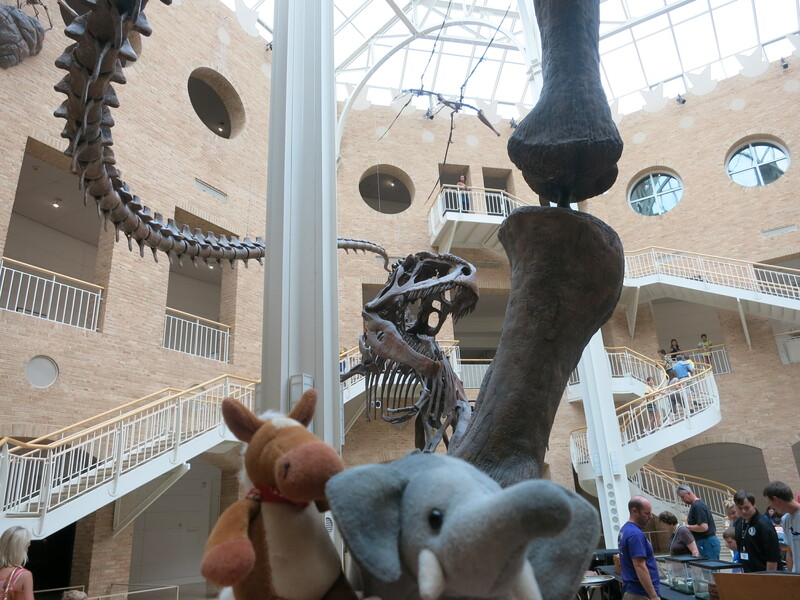 If you’re in Atlanta, put Fernbank on your To Do List! You can learn more about this amazing place on their website! We had no idea you were in Atlanta! We love Fernbank and the Zoo! 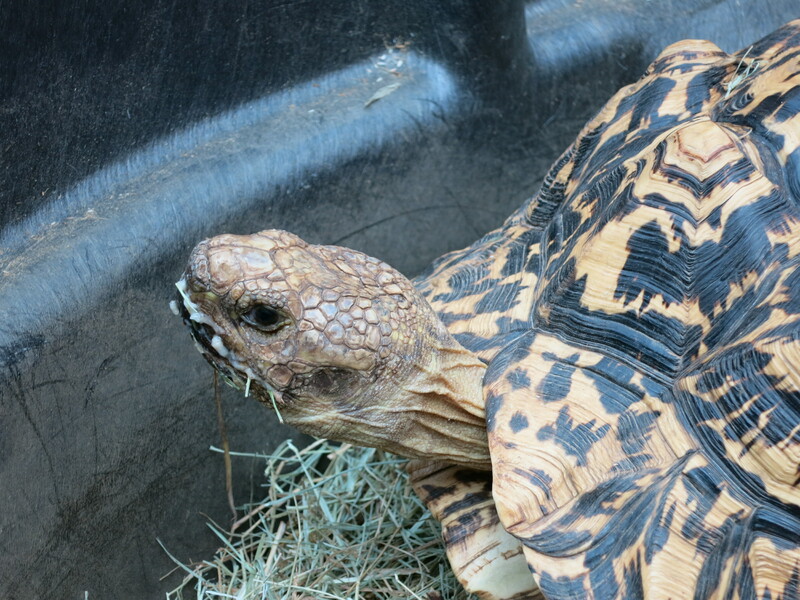 We met a 100 year old tortoise there the other day!